Take Poetry to a new level. 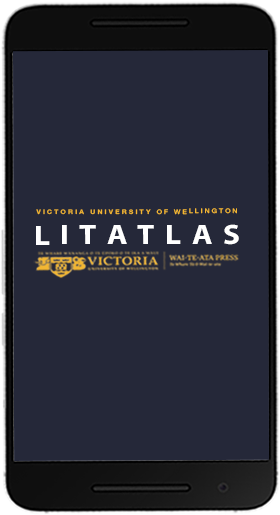 Experience Wellington's literary landscape with LitAtlas. The Literary Atlas of Wellington is an immersive experience that transforms words on the page into words in space using the latest in kinetic typography and augmented reality technologies.  Join us and create new writing as you interact with the iconic Wellington Writers Walk. New Zealand at its literary best. iOS compatible (11.2 or greater). Try with your iPhone or iPad. Location-based assisted GPS app. Use Map to guide you to sites. Experience literature in an augmented reality setting. Create your own poems and upload to Twitter. 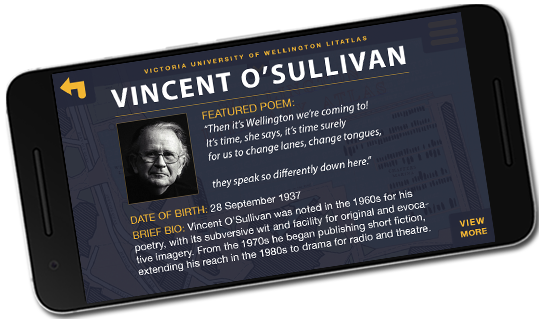 Find out more about writers by visiting litatlas.nz. See what others have created using the app here found poem or via the hashtag #litatlas.